Modern Temporal Historians are fascinated not by what could have been, but by what almost was. The extraordinarily narrow 2000 presidential election, is heavily studied, not just because of the slim margin of victory, but because of the subsequent events that followed. (From the Q42 timeline). Most often, I’m afraid, the 9/11 attacks still occur. Of 188 ‘Alt Gore’ timelines surveyed at the time of this post, the attack on the World Trade Center occurs 102 times. There are an additional 17 timelines in which the target is changed to the Empire State Building or various other targets within New York City, and 12 reported misses into the Hudson River. Further out, in a Gore presidency there is never an invasion of Iraq, though there is a single disastrous report of an invasion of Iran. 69 timelines report a war with Afghanistan within 100 days. Most of these become protracted. 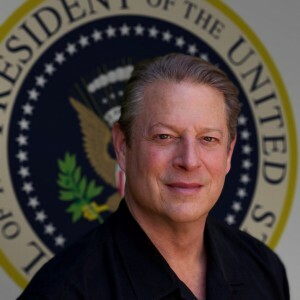 Gore is re-elected in approximately half the war timelines, overwhelmingly so in the 7 timelines where Osama Bin Laden is caught. I visited one of these most recently, avoiding the grim photos that swept the internet. Bin Laden was killed July 23rd, 2003 by U.S. Army soldiers from 87th Infantry Regimen. No individual would take credit for the kill, preferring instead that credit be given to the whole of the 1st Battalion. The U.S. is like a party for the remainder of the summer. The long term effect upon the U.S. would startle anyone in this timeline. Gore used his credibility and approval rating to make possible all manner of alternative energy initiatives. This lead to a tremendous breakthrough in solar technology which, by the concurrent 2016, will allow 30% of U.S. energy use to come from renewable sources. In your timeline, America will still be woefully dependent on foreign oil in 2016. These reports do not count three dozen or so surveys which stem from an earlier divergent line where Gore wins the 2000 election easily because the Monica Lewinsky scandal never went public, didn’t happen, or a slight smarter America didn’t care.